Q. How do I read RBdigital eMagazines on my computer? Connect to RBdigital through the library website. You can browse the title list before setting up an account, but you will need an account to borrow and download issues. Log in if you already have an account or click "Create New Account" to register. 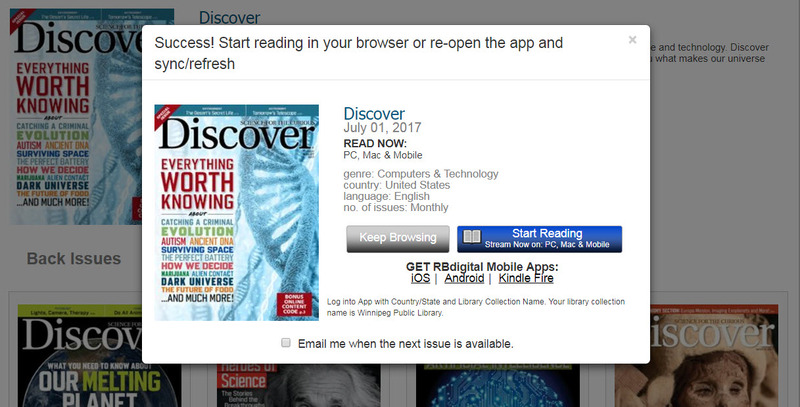 Important: If you used Zinio with Winnipeg Public Library in the past, your username and password have been transferred to RBdigital, so you do not need to register for a new account. Use your old Zinio username and password to log in. Your account is easy to create. Enter your library card number and then you'll be taken to a page that asks you to create a username and password. 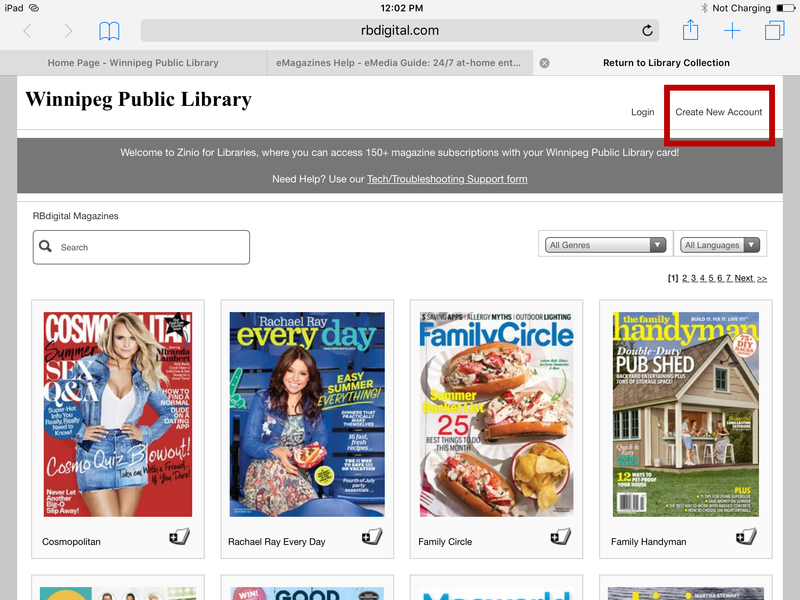 You can browse or search the magazine collection. b. Click on the issue cover and be taken to the magazine details page where you can checkout the current issue, plus find back issues. A screen will pop-up letting you know that you have successfully checked out a magazine. To start reading, click START READING. 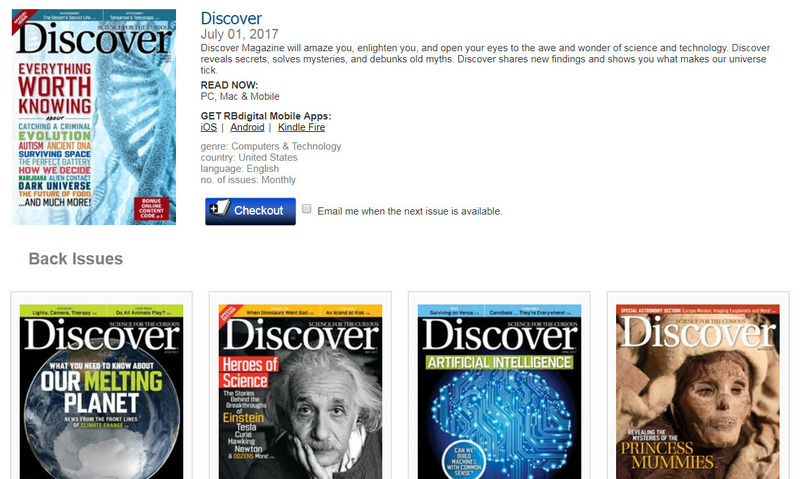 Your magazine will open in a new window, where you can read it cover to cover, plus explore the magazine through different ways. If you have any questions, please feel free to Ask Us! for help.